"I didn't believe in prayer at the beginning of that summer, I believed in action," Julie writes. This was the start of a three-month experiment that took her from the boardrooms of corporate America to various hospital rooms, where she discovered how to minister to the families of patients, the sick, and the dying. 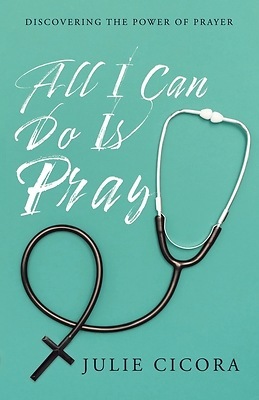 The Hospital Clinical Pastoral Education Program enabled her to create a learning contract that focused on prayer. Julie recorded numerous vivid and sometimes heartbreaking stories of how prayer can transform those in its path, especially Julie. Her prayers are direct and sometimes challenging, but an answer is always provided, and most of the time, it is unexpected. Have an inside look into the life of a chaplain, and see what it's like when a surgeon asks for prayers in an emergency room trauma unit. Find out how Julie talks with a five-year-old who just discovered she is paralyzed from the neck down and how she answers an eight-year-old's question, "Are there dinosaurs in heaven?" Each patient's story helps develop the importance of being present to those who are suffering. It also shows how being present in these situations can also bring up our own suffering. The one constant in each story is the healing power of prayer.